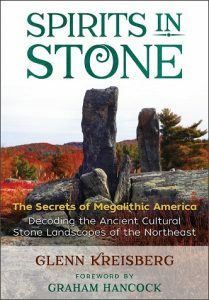 “Spirits in Stone: The Secrets of Megalithic America (Decoding the Ancient Cultural Stone Landscapes of the Northeast)” by Glenn Kreisberg was quite an eye-opening read. Honestly, I read it thinking I would learn there was some giant Stonehenge like structure just down the road from me. Let me go ahead spoil it for you, there isn’t. However, I did learn there is a surprising amount of fascinating stone artifacts all over the northeast, and that there is an inherent bias in the archaeological community as to their importance and the need to study and preserve them. Fortunately, Kreisberg and the New England Antiquities Research Association finds these sites, studies them, and works with others to get them protected. In the process, they’ve learned there is more to these stones than just their age. “Spirits in Stone” shares their reports from many of these locations. I’m not going to lie, it can be rather dry reading but I still enjoyed it and feel it’s an important book.